Dr Scott Johnson and Dr Ben Moore have been awarded an Australian Research Council Discovery Projects grant to investigate the defence mechanisms of Australian grasses against invasive root herbivores. This project will also seek to understand how domesticated grasses differ from their wild ancestors in defence strategies. "Australian grasslands represent one of our most threatened habitats", says Dr Johnson. "The majority of insects which attack Australian grasslands are exotic beetles that have been introduced. It's a remarkable fact that the total weight of root-feeding insects often exceeds that of sheep on an Australian pasture. While the impacts of root herbivores go largely unseen, they can reduce plant productivity by up to 25%." "Despite accounting for two thirds of plant material, little is known about how roots are defended against root herbivores as most research to date has focused on above-ground defences." bodyguards (indirect defence via recruitment of the herbivore's enemy). This project will investigate whether grasses respond in the same way when attacked belowground. It will consider these three types of defence mechanisms across a range of grasses to identify the underlying reasons for the different root defensive strategies employed. 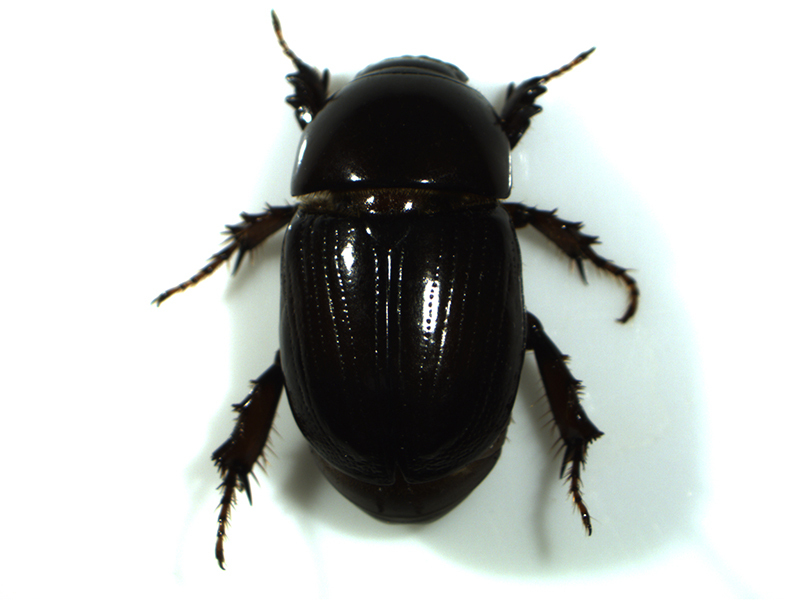 This project will use the African black beetle as a model root-feeding scarab beetle to test predictions. This species is known to feed on 194 Australian grass species. Domesticated and wild type Australian grass species have been identified for investigation of functional traits and chemistry. Australian grasslands are highly vulnerable to exotic root-feeding pasture pests. The results of this project will prove important, not only for better understanding the ecology and behaviour of exotic pests but also to crucially identify how Australian grasses might resist attack in the future. It will identify the underlying resistance mechanism to root herbivory and vulnerable grass species, informing management decisions on grasslands and ensuring good health of grasslands. This project (P00021431) "Get tough, get toxic or get a bodyguard: how root herbivores shape grass defences" is funded by the Australian Research Council.